0.014″ nominal wall gray polyvinyl chloride (PVC). 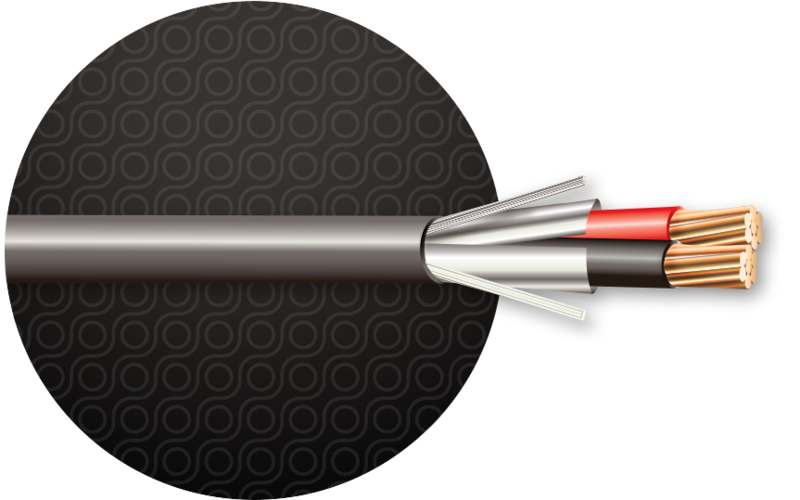 18 & 22 AWG conductors cabled together with a 2″ nominal left-hand lay. Nylon rip cord for ease of jacket stripping.